Still have questions about the service we provide over at Clinic Compare? Feel free to give our UK based office a ring on 0207 424 3130 to find out a little more about why we're the leading cosmetic surgery comparison service in the UK. 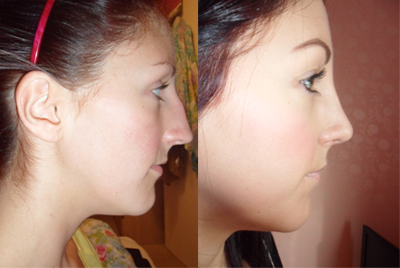 Teresa - Rhinoplasty patient from Hertfordshire. I recently decided to have cosmetic surgery on the bridge of my nose. After using a search engine to try and find some local clinics i decided to use 'Clinic Compare' to find a surgeon in my area. Clinic Compare put me in touch with two cosmetic surgery groups, Transform and MYA. I had consultations booked with both, through Clinic Compare within 2 weeks. After the consultation I decided to go with Transform. I met with my surgeon 4 weeks after my original consultation and I had my surgery date booked in for 6 weeks after that. The whole process, from Clinic Compare putting me in touch with the cosmetic surgery groups to my surgery was around 3 months. This could have been quicker but depends on the availability of you and your surgeon. I am now 5 months post surgery and I can honestly say its the best decision I ever made. I am no longer unhappy with my profile and feel better in my own skin. "Firstly i got a response from one of your customer service agents who was absolutely perfect. The call came through within an hour of my email and request. All the information he provided me with was outstanding. He was extremly easy to speak to and also gave me all of the details i required and the info was also very exact. He also called me back when i had asked him to due to me being quite busy and he was so helpful and accomodating"
"I truly cannot find anything to complain about, Simon was superb and the best I could of asked for with all advice and support." "My call to clinic compare initially was mixed with an element of scepticism as I haven't had pleasant experiences with comparison websites and companies before. But in this case the good thing was that it wasn't a sham display of immediate dodgy results on the screen but a personalised conversation over the telephone. The person on the other end from Clinic Compare was professional and well-informed. She put across questions to understand my requirement and the options I was willing to take up." 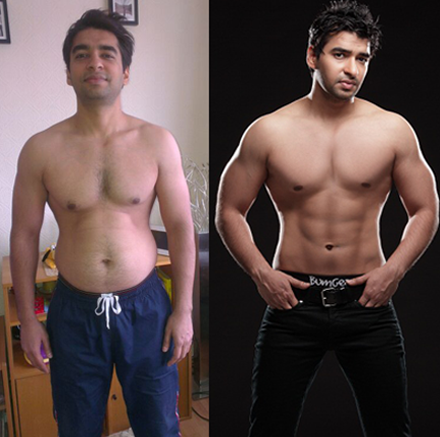 "After a thorough assessment she offered me a customised procedure that conformed to my body shape and composition. After her recommendation, I have now lost over 4 inches from my waist through the Laser Lipo process. I am now a healthy 32 inches on the waist. I have also combined exercise in my daily routine and the results are pretty obvious"
"When using the site to compare clincs, the response was very good and the clinics contacted me within 24 hours which was fantastic. The suppliers were all very helpful in helping me make a decision." "I found the site very easy to use and got a response very quickly back very pleased on how it worked for me and would recommend you to anyone." "I would like to say a huge thank you to the Gentleman who called me back, sadly I cannot remember his name. I was amazed at the speed of the call back, it was minutes from me hitting the send button on my enquiry email, to being called to say my enquiry was being dealt with. I have since received all the information I had asked for, and not once have I been bombarded by annoying emails, or any follow-up calls. Thank you, I will use you again, a non fuss approach and very professional service." "I found the service Clinic Compare offered to be very swift. I completed the email request from Clinic Compare on the Saturday morning and had 2 clinics contact me by the Saturday afternoon. I had my appointment with the surgery clinic on the Monday and my treatment has already begun. I fell across the form whilst trying to find a suitable clinic on the Internet. It hadn't been my intention to complete it and get calls back, but I'm glad I did it! Thanks for setting me on the road to getting my skin sorted out." "I stumbled across the site whilst trying to find local clinics in Putney and found the whole service very impressive. Clinic Compare were very professional and helpful. I received a phone call from the supplier immediately and so far am extremely happy with what I have experienced." "I thought the website was very easy to find as it was one of the top search results in google. After entering my details the call back I received regarding my enquiry was the same day, not more than half an hour after sending my details off which I thought was fantastic. The clinic that then got in touch with me a day or two later was a local and very reputable clinic. Overall I was extremely happy with the quality of service clinic compare provided and would certainly recommend them!"